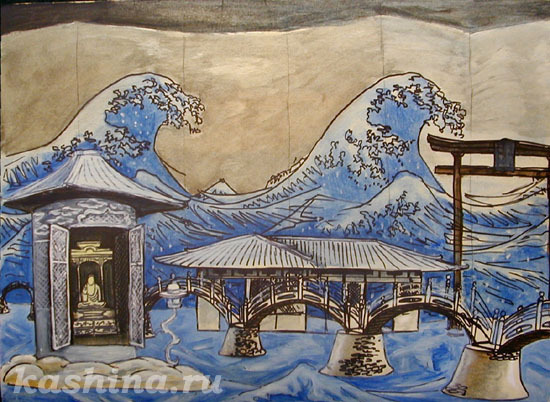 Scenography by Evgeniya Kashina. 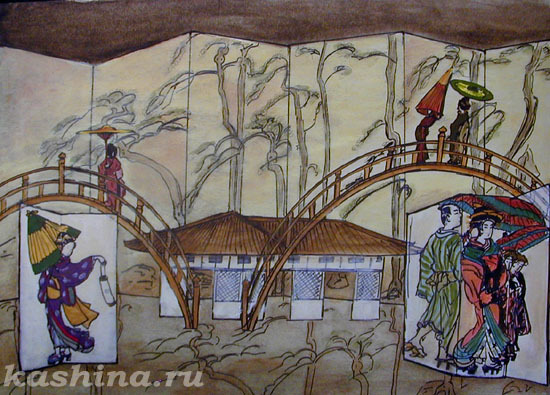 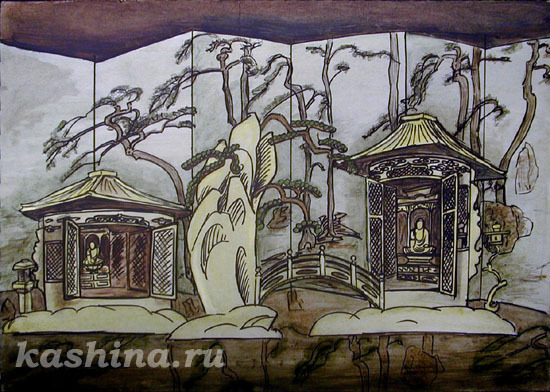 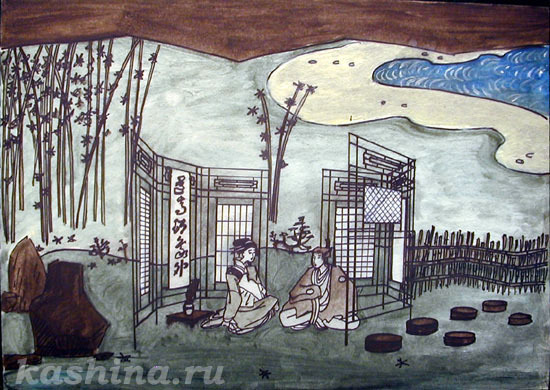 Scenery sketches for G. Puccini's opera "Madama Butterfly"
Scenery sketches for G. Puccini's opera "Madama Butterfly"
Scenery sketch for G. Puccini's opera "Madama Butterfly". 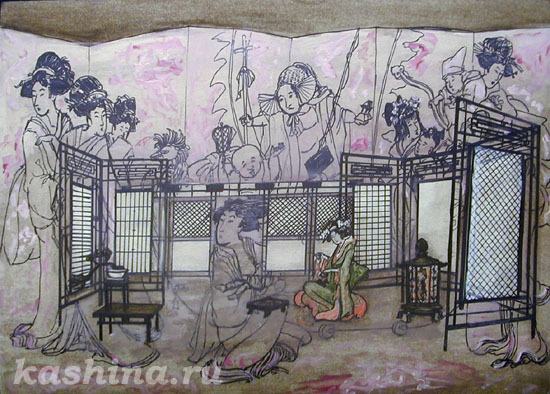 Whatman, oil, marker, 40smх60sm, 2001.